Normally the footprint for high altitude aerostats consists of many tons of trailers, winches, helium bottles, generators, cables etc. This is because normal blimps need to be huge and complex to acheive serious altitude. However, Helikites are far smaller and simpler for the same performance, allowing the entire footprint to be reduced helmet to just one small wooden box. CHAMP is a new concept in rapidly transported and deployed aerostats.It is a stand-alone, air-mobilesystem. A 4ft x 4ft palleted box folds open to reveal everything required to create a permanent Helibase, inflate a 10 cubic metre Skyhook Helikite and then fly it up to 2400ft - all within 30 minutes. The CHAMP system supplies enough helium to keep the Helikite aloft for weeks. The box fits on a standard industry pallet and weighs190Kg. The contents of the CHAMP case are all waterproofed to allow long-term outsidestorage. 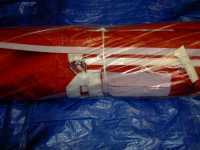 Absolutely everything needed to inflate and operate the Helikite for extended periods is in the CHAMP case. 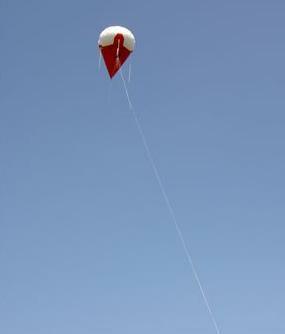 10 cubic metre All-Weather Skyhook Helikite. 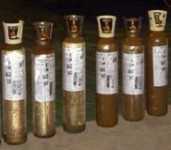 13 cumetres of helium in six steel cylinders. 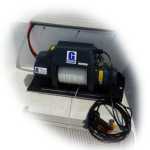 High quality 12 volt Motor Winch. 3000ft of 500Kg breaking strain Dyneema line ready wound on tow winch. Carabina Shackle and Running Snap-Sheave. 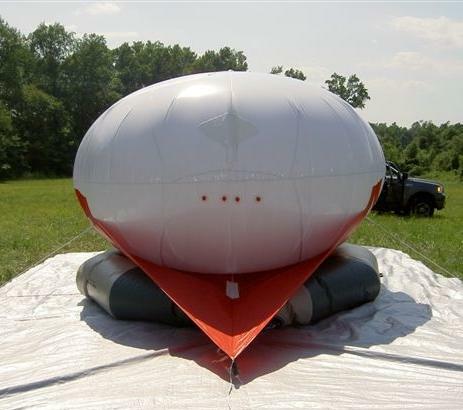 Inflatable Helibase with Sheave Block. 12 volt Air blower to rapidly inflate Helibase with car cigarette lighter socket adaptor. 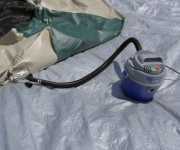 Manual Air Pump to maintain Helibase pressure. Helikite and Helibase Repair Kit. The CHAMP system not only allows rapid deployment of the Helikite but it also allows for the long term inflated storage and maintenance of the Helikite anywhere in the world. Perfect for persistent lifting of radio-relays, surveillance cameras, weather or pollution monitors at short notice. CHAMP is the most compact and lightweight total aerostat system available that is capable of persistent, high-altitude, all-weather flight.